The Sydney surgeon who exposed the horror working conditions of junior doctors says she is now a qualified yoga instructor. 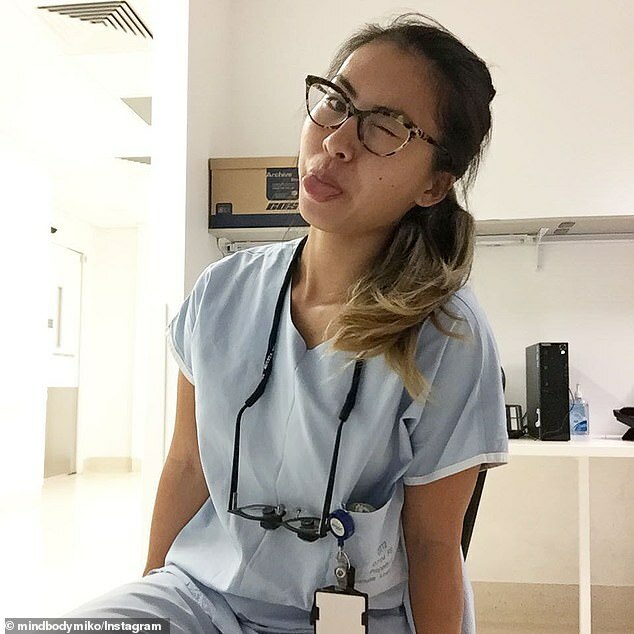 Dr Yumiko Kadota resigned from her role at Bankstown Hospital after working 24 days in a row, and used her personal blog to expose the poor working conditions endured by junior doctors. In the viral post, the 31-year-old claimed she was forced to work shifts exceeding 20 hours without a break and alleged there was rampant sexism. 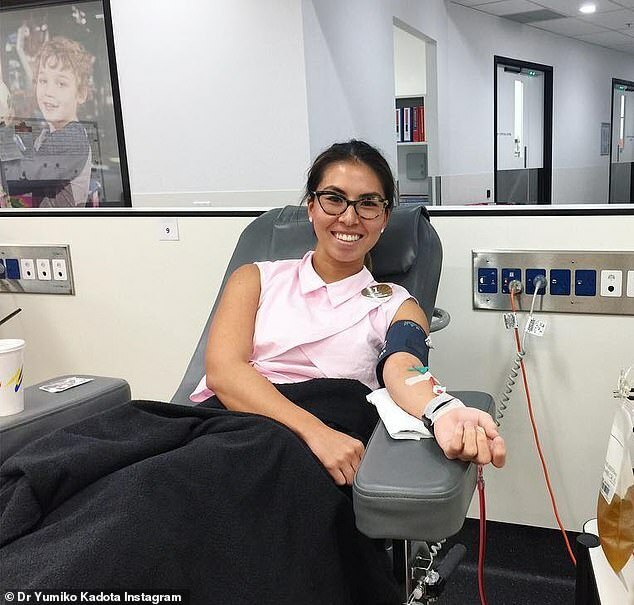 After leaving her job, Dr Kadota says she spent six weeks in hospital, receiving care for insomnia and post-traumatic stress symptoms, she said in a new post. As she struggled to rebuild the life that had crumbled around her, the junior surgeon says she turned back to yoga, and her unfinished teaching qualification. Dr Kadota said it had been a year since she’d been inside any yoga studio, as her demanding job had left her with no time to switch off. ‘I’ve been a yogini for as long as I’ve been a doctor (eight years), and I decided that I would use this time off to finish my qualification so that I could teach yoga as an option,’ she said. 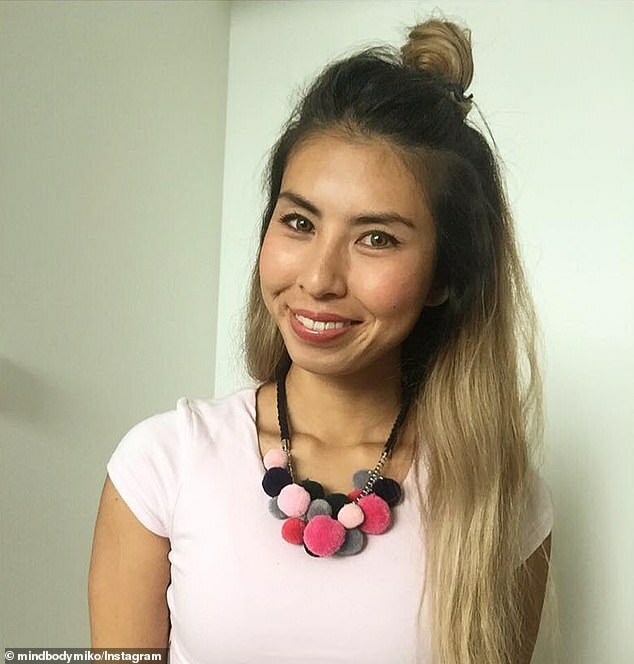 Dr Kadota had poured more than a decade of her life into studying medicine and surgery, but quickly fled the profession after experiencing the ‘toxic’ workplace culture. 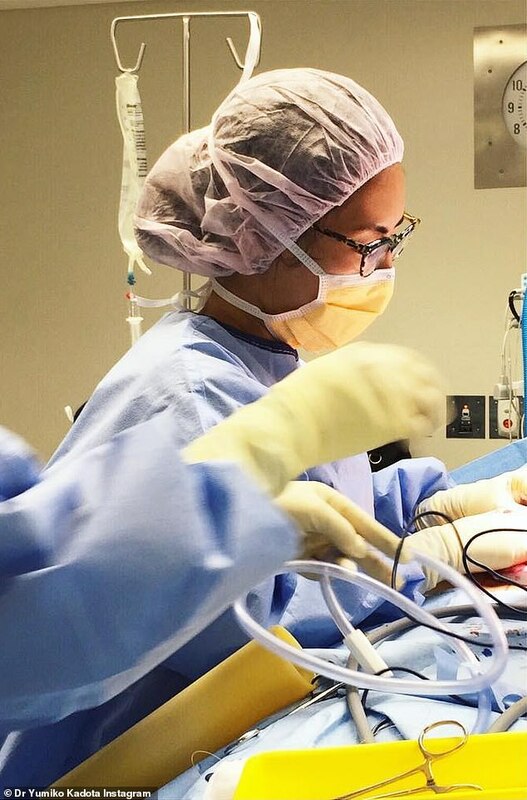 The young health and wellbeing enthusiast detailed her long journey in a blog post titled ‘The ugly side of becoming a surgeon’. In it, she revealed how she transitioned from ‘bright-eyed and bushy-tailed beginnings’ into ‘the worst working days of my life’. Dr Kadota said she was lauded as one of the top surgical interns her hospital had ever seen. Six years into her career, she began to see the ‘dark side of surgery’. A senior neurosurgeon constantly overlooked her for assignments, instead choosing in ‘favour of a pretty girl’. The same neurosurgeon would constantly taunt her, saying she was on a ‘downward spiral’ and telling her to take her clothes off in Japanese. Workdays spanning 20 hours meant there was no time to go home and sleep before her next shift started, leaving her to rest in the ‘recovery’ room. On the rare occasion she did make it home, Dr Kadota said it was not restful. ‘I was at the hospital for 120-140 hours a fortnight, and work would follow me home with phone calls whilst trying to park my car in the garage, whilst I took a shower, whilst I was trying to cook dinner, and whilst I was trying to fall asleep. ‘Every fortnight I would only be guaranteed four nights of uninterrupted sleep. ‘The other 10 nights were unpredictable. Maybe I’ll get woken up, maybe I won’t. While the young doctor says she is still assessing her future in medicine and hopes to go back, she says a return is not in her immediate future. ‘I am still in recovery, and I’m not in a headspace where I even want to think about hospital work,’ she wrote. ‘My mind and body are not ready to make that big decision yet. I need to look after myself first. I won’t return to work half-baked. I want to be a fully-baked cookie before I throw myself into something again, because I’m not a half-arsed kind of person. If I do anything, I do it properly and I do it well. ‘In the meantime, I am enjoying some time off clinical work. I’m reading books to nourish my mind, eating a plant-based diet to nourish my body, and doing yoga to nourish my soul. She says on the advice of her father, she considered a career in teaching anatomy, and has contacted a university professor she worked with in the past. The former plastic surgery registrar could also consider a career in activism, after her blog post sparked calls for an inquest into the working conditions of junior doctors. Following her expose, New South Wales Minister for Health, Brad Hazzard, promised to dig deeper into the plight of ambitious trainee doctors. ‘The starting point has to be people’s wellbeing. People’s lives shouldn’t be compromised,’ he told The Sydney Morning Herald. Mr Hazzard admitted there were ‘financial and otherwise’ factors that would need to be considered, but change was necessary. The call for an inquest was supported by the Royal Australasian College of Surgeons (RACS) Council, who could remove their trainees from Bankstown Hospital if an inquiry supported Dr Kadota’s claims. With the world at her feet, Dr Kadota could do many things – but for now she says she is happy to take things as they come.